Details: 373 pages, Full Color, Softcover, 7" x 10"
Includes 2 hours of clinical videos! 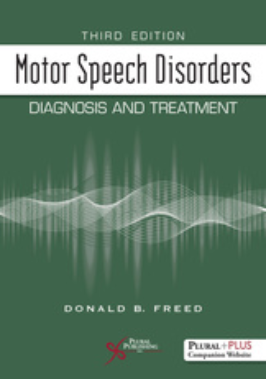 Motor Speech Disorders: Diagnosis and Treatment, Third Edition offers a detailed yet streamlined introduction to motor speech disorders for graduate students and beginning clinicians. The text offers a brief historical overview of motor speech disorders, providing useful context for understanding the technology and methodology used by modern speech-language pathologists for evaluation and treatment. The text also provides a practical introduction to the human motor system and detailed coverage of six pure dysarthrias, mixed dysarthria, and apraxia of speech. 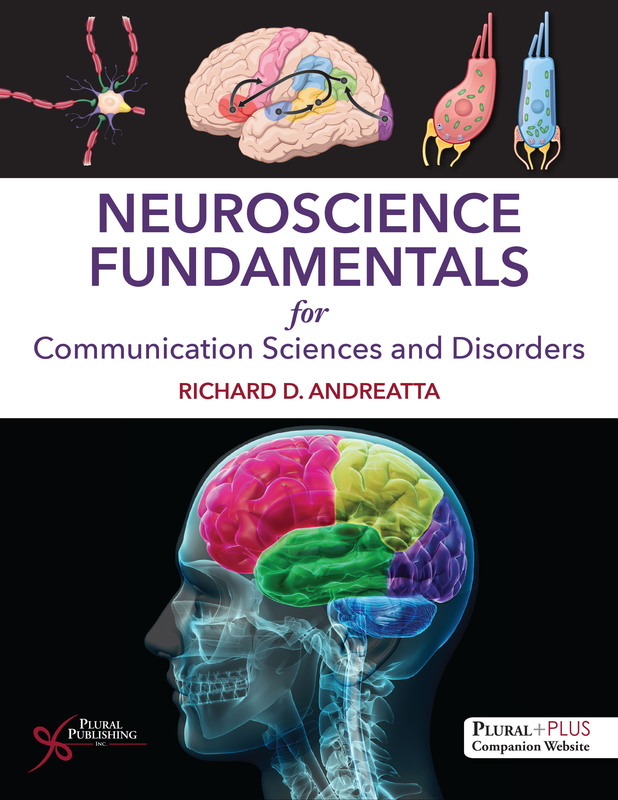 "The author strikes a great balance between providing sufficient neuroanatomical and neurophysiological background, with information on clinical presentation, assessment, and management of motor speech disorders. The flow of text across the chapters is well thought out, and the content of the textbook is supplemented well through colorful visual depictions. The language is simple and concise to be understood by most international audiences, yet encapsulates the necessary information for clinicians, researchers, teachers, and students. I recommend this textbook both as a main textbook (for graduate courses) and as a reference or supplementary textbook (for undergraduate courses)." “**Description** This book thoroughly reviews the two major types of motor speech disorders: dysarthrias and apraxia of speech. Each chapter is organized similarly, following a logical flow of introduction, neurological etiologies, deviant speech characteristics commonly present, treatment suggestions, a summary, and questions to enhance student learning. An additional chapter is dedicated solely to assessment, with a template for immediate clinical translation. The online resources give clinical examples of each type of motor speech disorder and include PowerPoints that highlight salient points from each chapter. **Purpose** The purpose is to present assessment and management information related to motor speech disorders. The book accomplishes this well with an easy-to-read writing style, relevant clinical written and video examples, and organized chapters that enable readers to know what to expect as they move through each disorder type. The revisions in this edition focus on updated color illustrations and updated treatment procedures. **Audience** The target audience is students and novice clinicians interested in learning about motor speech disorders. The author uses his own clinical experience to provide real-world examples. He is considered an expert in this area and has authored the two previous editions, as well scholarly journal publications on neurogenic communication disorders, including motor speech disorders. **Features** Since this is meant to be an introductory book, it lacks in-depth detail of various etiologies, differential diagnosis, and management techniques seen in other books. For example, it is missing a discussion of using instrumentation both during the assessment and management phases, but it does a good job fulfilling its purpose as an introductory book. Each chapter on the various disorder types follows a consistent organization, ending with a summary and questions for learning reflection. References, a glossary, and an index end the textbook. The color illustrations add value for learning. I commend the author on the easy-to-read format, not a small feat for such a complex topic. Donald B. Freed, PhD, is a professor in the Department of Communicative Disorders and Deaf Studies at California State University, Fresno. He received his MS and PhD from the University of Oregon. Prior to his PhD, he worked as a speech-language pathologist in acute care and rehabilitative medical facilities. He also worked as a research speech pathologist for three years at the Portland VA Medical Center. His research has primarily concentrated on adult language and motor speech disorders. To access the materials, log in to the website using the URL and Access Code located inside the front cover of your copy of Motor Speech Disorders: Diagnosis and Treatment, Third Edition. Details: 700 pages, Full Color, Hardcover, 8.5" x 11"